Built for musicians and performers. 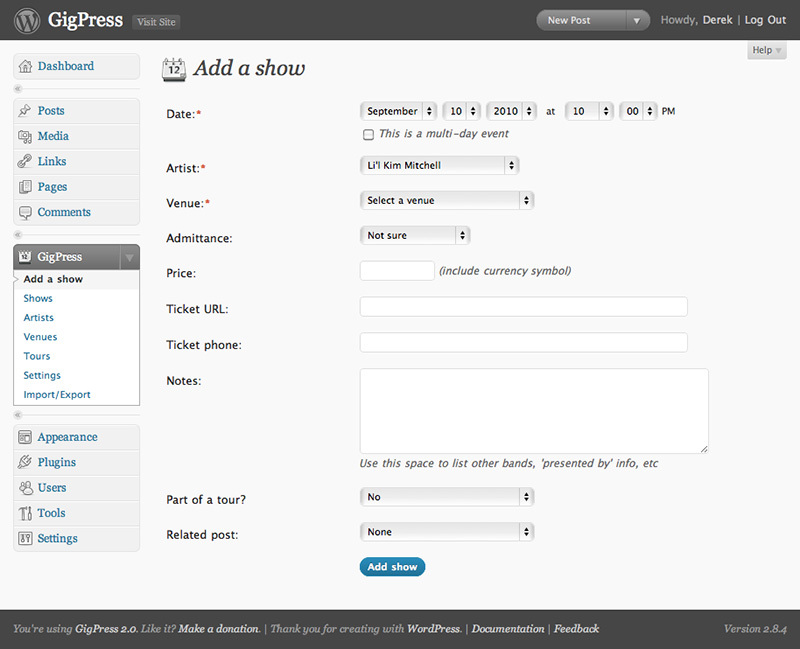 GigPress is a powerful WordPress plugin designed for musicians and other performers. Manage all of your upcoming and past performances right from within the WordPress admin, and display them on your site using simple shortcodes, PHP template tags, or the GigPress widget on your WordPress-powered website. 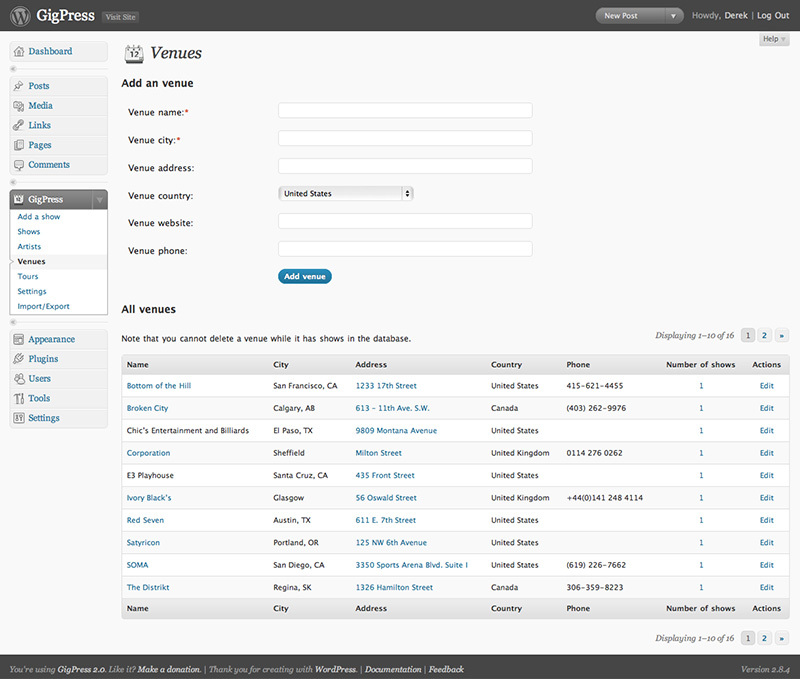 GigPress is well-designed and easy-to-use. 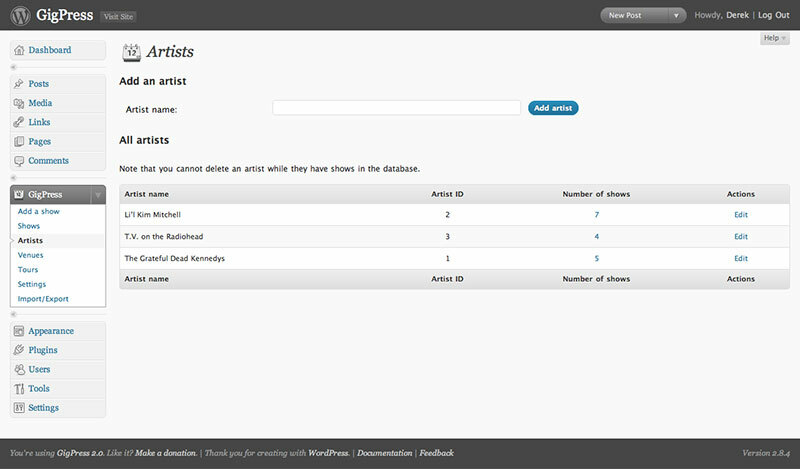 Add artists, venues, tours, and related posts on-the-fly, all saved in your database for re-use, all seamlessly within the WordPress admin. No lock-in here. 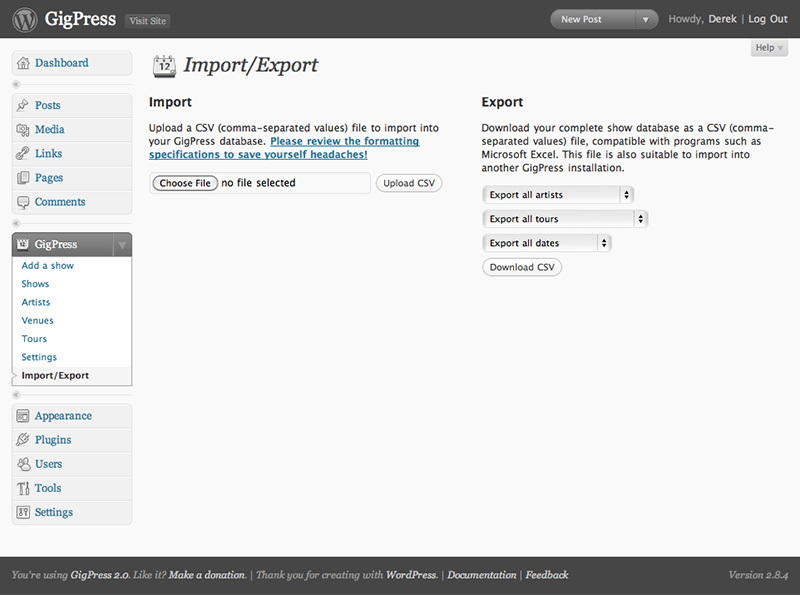 Import your shows from a CSV file, without fear of duplicate data. 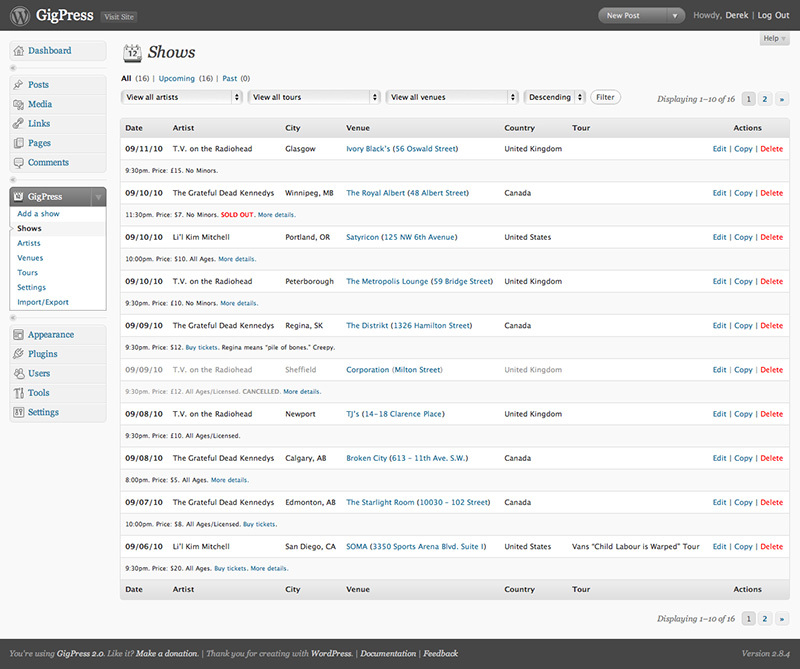 Export your shows database to CSV — filtered by artist, tour, and date. View some examples, check out the documentation, or go ahead and download it now.